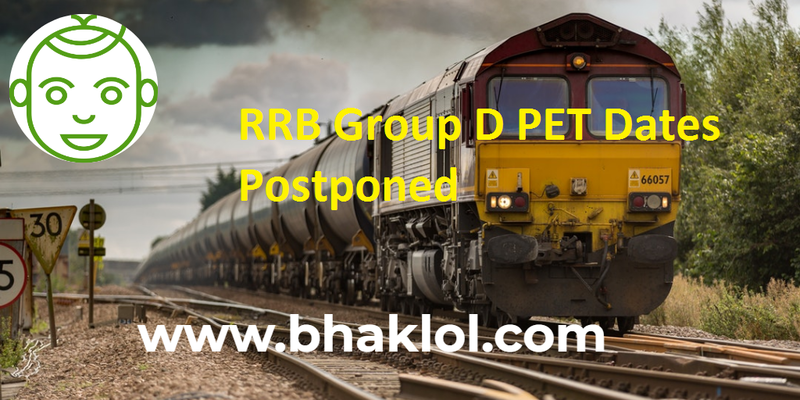 Dear Students, Railway Recruitment Board, Patna has postponed Group D PET Dates. We are sharing new RRB Group D PET Dates of Patna Zone which has been published. Now the PET Dates will begin at Patna Zone from 31st March 2019 and will end on 6th April 2019.